Calculate revenue saved and gained by switching to a better plan tracking and monitoring process. What does your organization risk by not achieving all of your initiatives? Trying to track a process improvement, strategic, or cost reduction plan from a spreadsheet is labor-intensive, error-prone, and makes it hard to see progress from a higher level. The monitoring process isn’t easy, so over time, insight into important initiatives dwindles. Employees give up on executing plans with no accountability. What if you achieved every one of your goals? The dollars you plan to gain and save in each of your initiatives is the cost of poor plan governance. 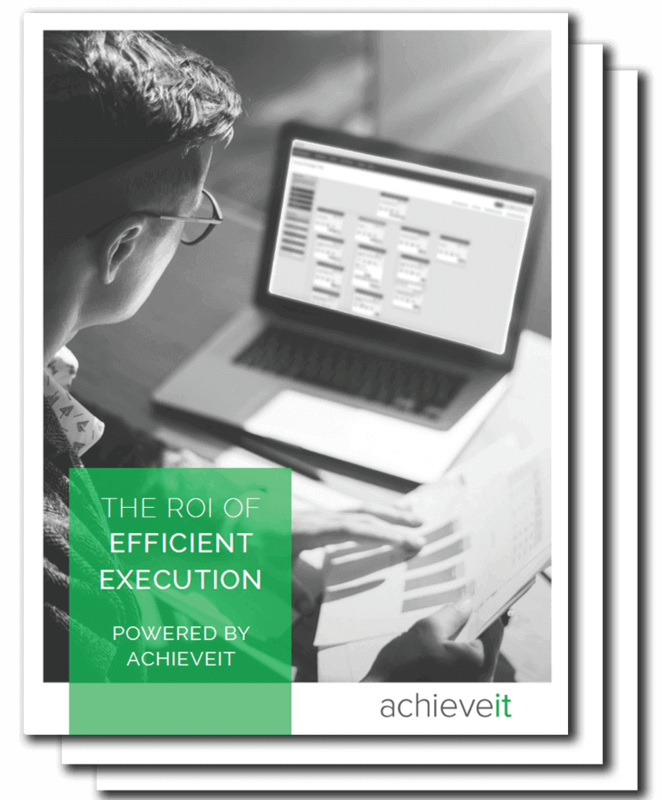 Download this guide and the companion calculator worksheet to show your team what you’re leaving on the table without enabling plan visibility, organizational alignment, or automated accountability – and what you stand to gain with a better solution.